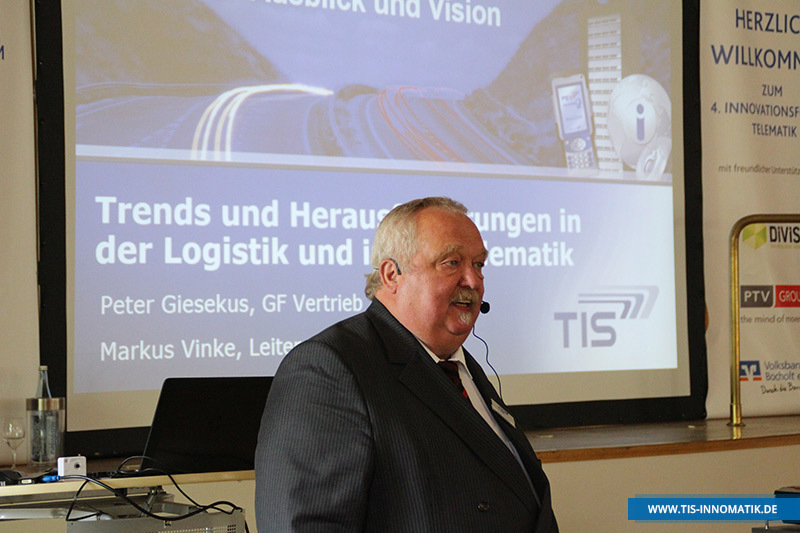 © The publications and picture material on this page are subject to copyright of TIS GmbH. 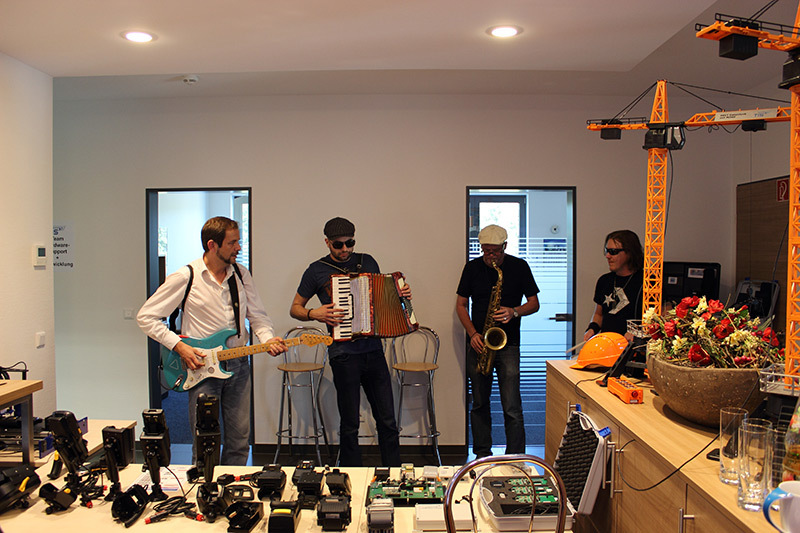 Use and distribution beyond this website are not permitted. 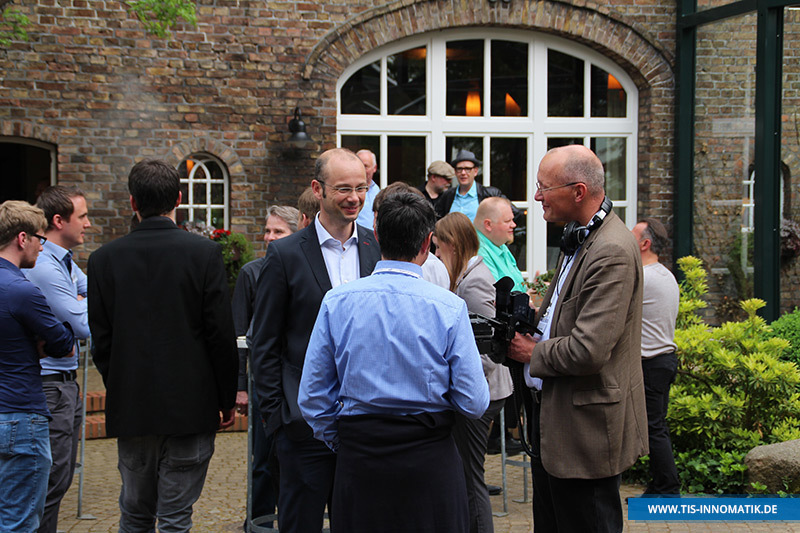 If you are a media representative and need image material for your publications, please refer to our press contact. 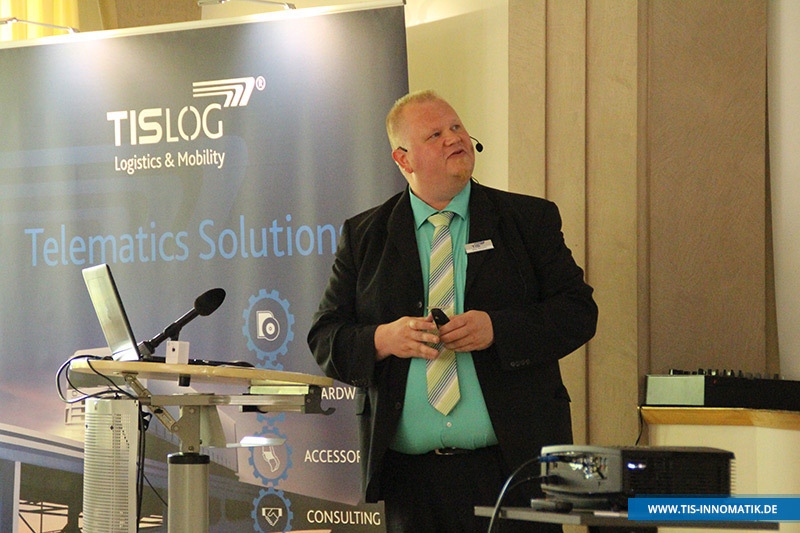 The third Innovation Forum Telematics again offered visitors a wide range of topics related to logistics and the latest trends in mobile data communications. 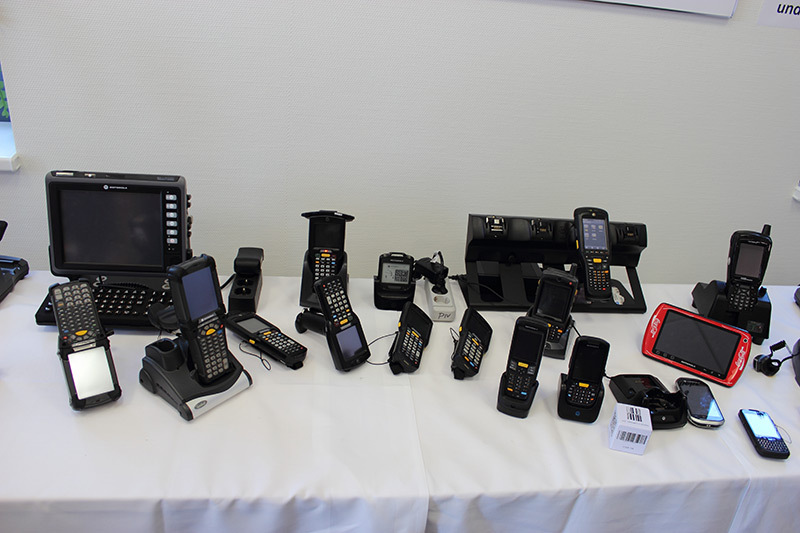 In addition to the main subject "B2C" in general cargo, which has been covered in a high-profile panel discussion, also innovations in professional smartphones and the legal framework for BYOD were on the agenda. 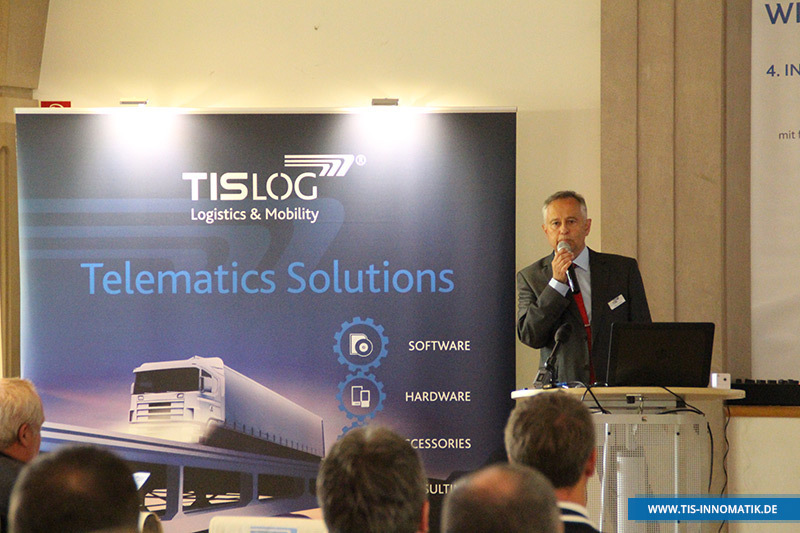 In addition to the highlight event of the panel discussion, in numerous presentations the guests found the opportunity to gather information about the current market situation, legal pitfalls of BYOD and smartphones, cargo theft prevention and application scenarios in the field to inform mobile solutions. 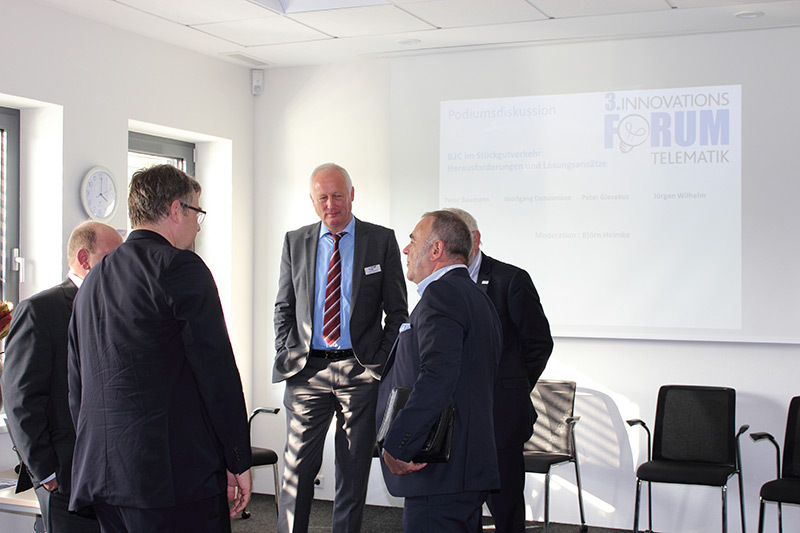 In particular, the discussion of Peter Baumann (24plus), Wolfgang Debusmann (Emons) and Jürgen Wilhelm (Jeschke and Sander) joined on the podium due to the timeliness of the complex B2C issue were met with great interest. 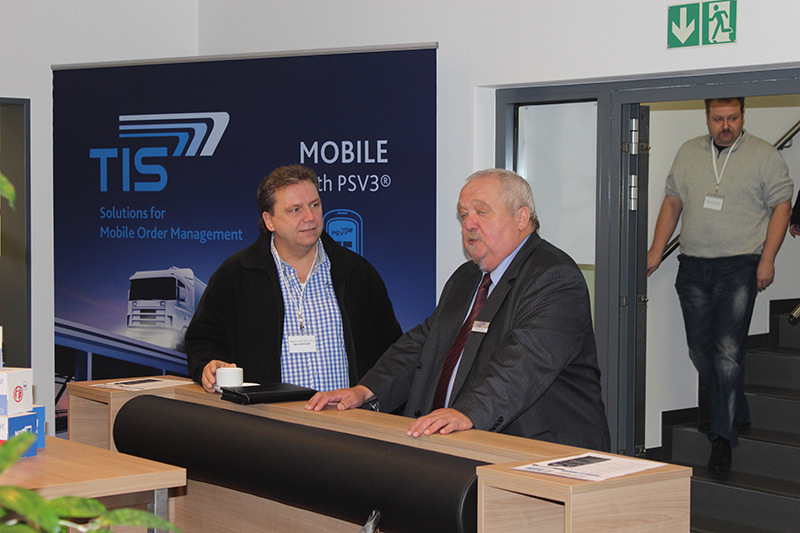 Our software development department also presented the new technical concept of PSV3 Next Generation. 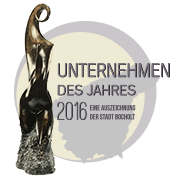 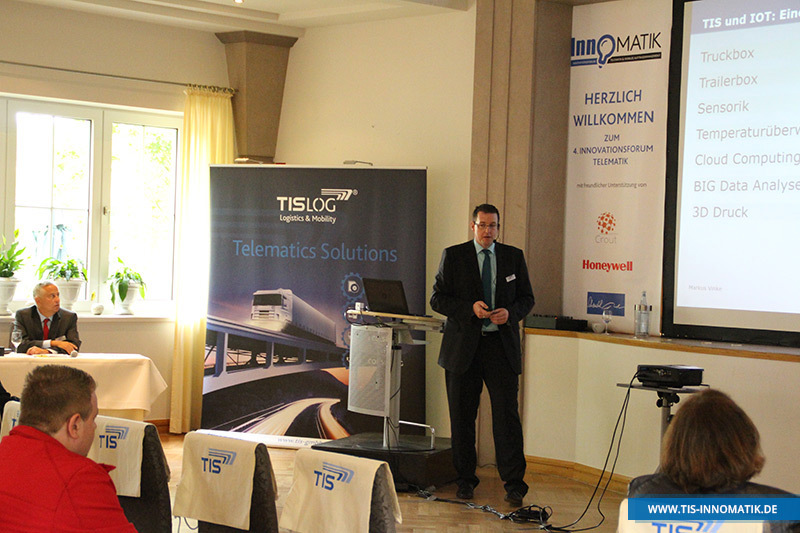 Find a detailed report on the 3rd InnoMATIK in our Telematics Magazine. 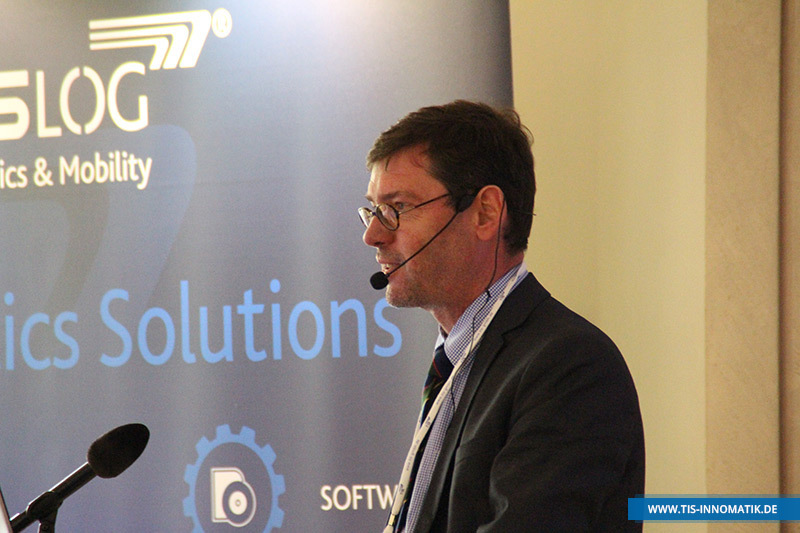 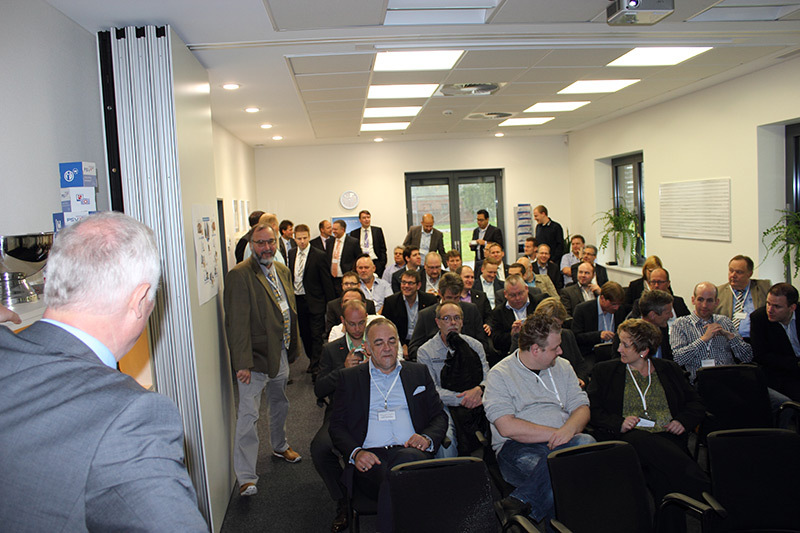 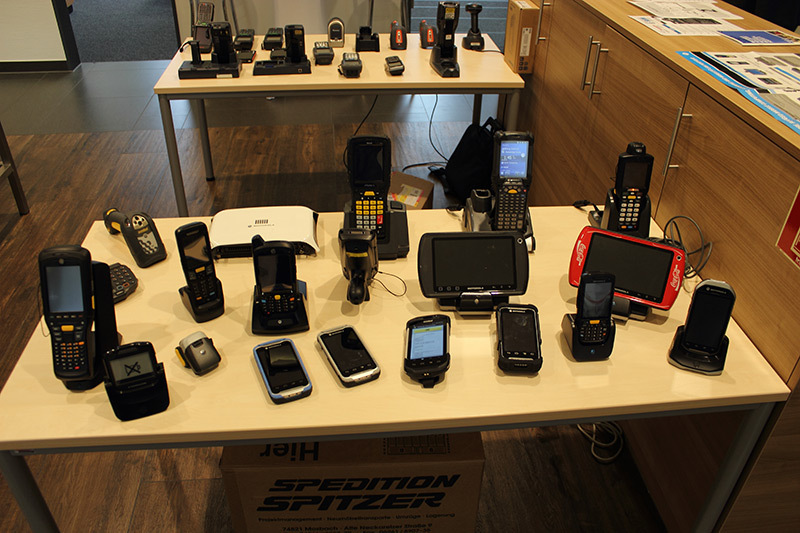 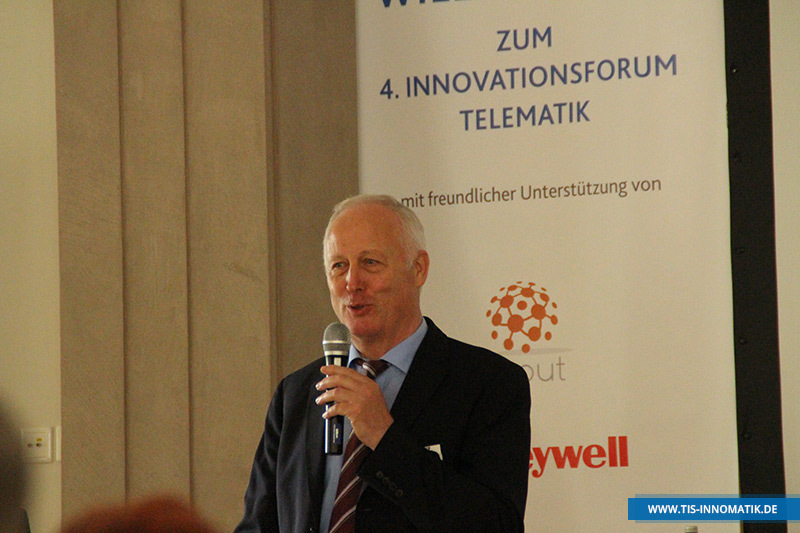 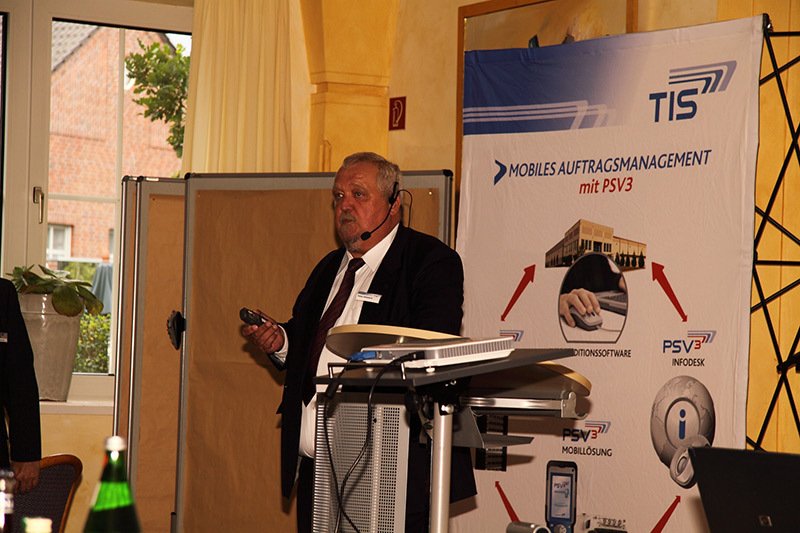 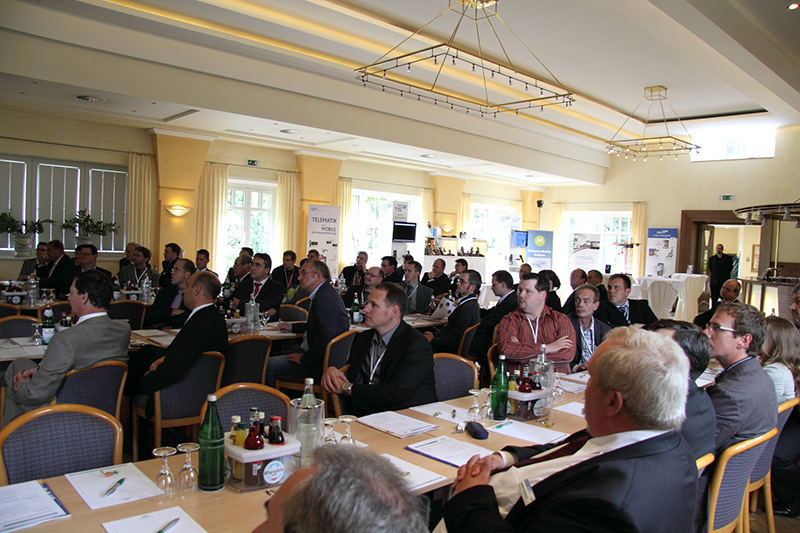 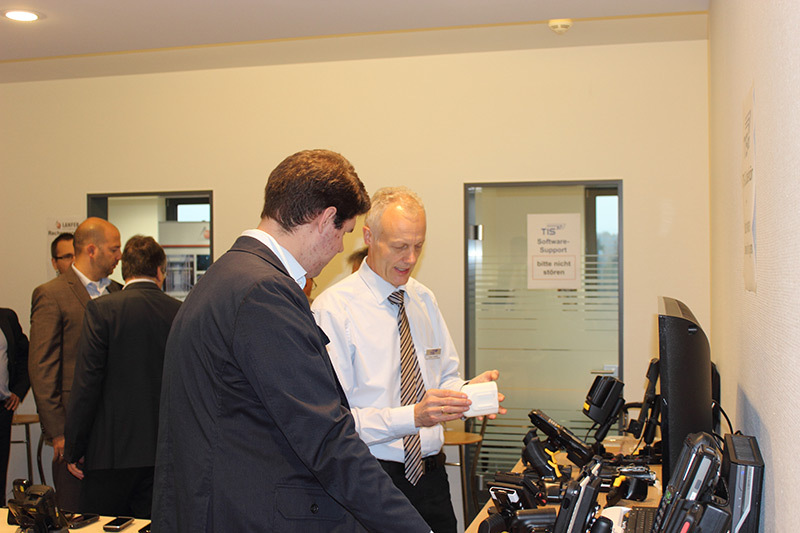 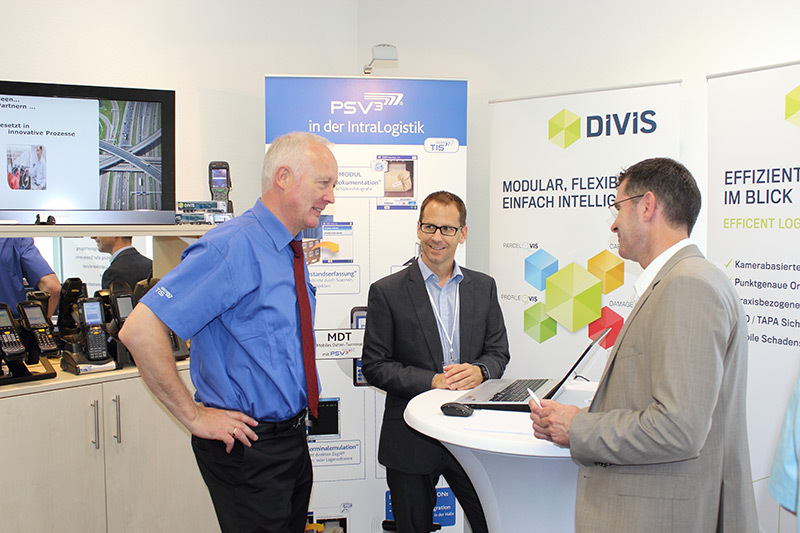 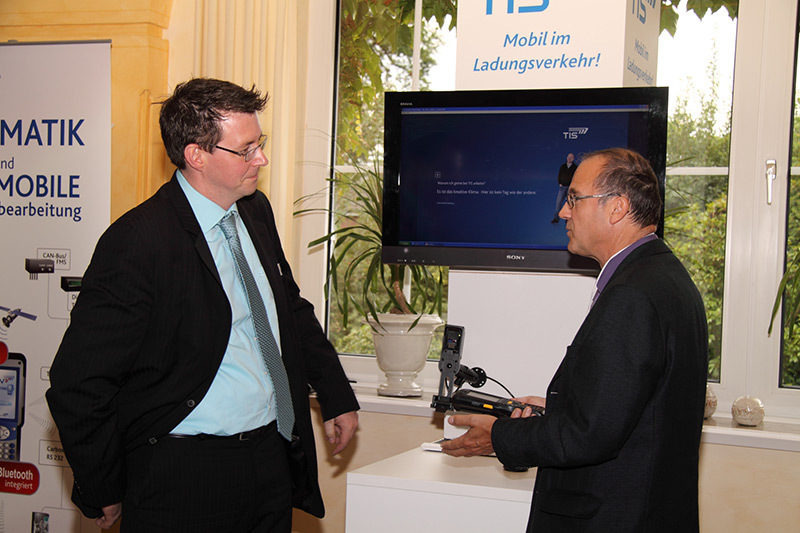 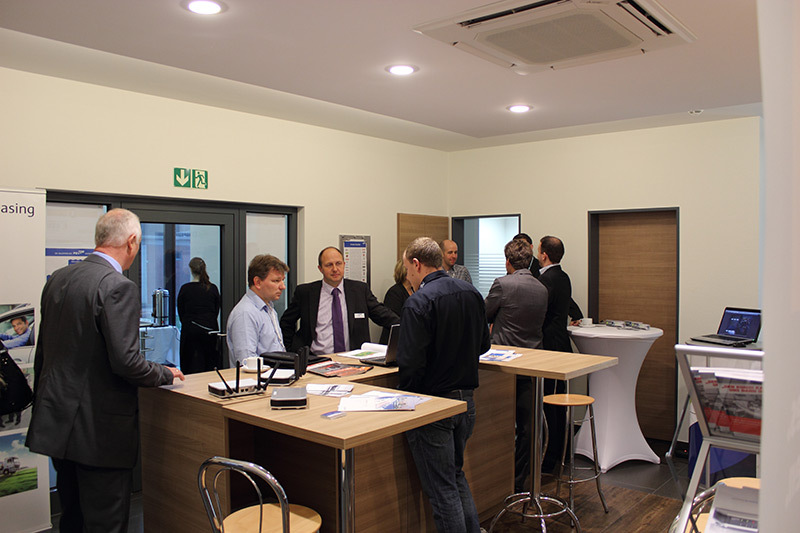 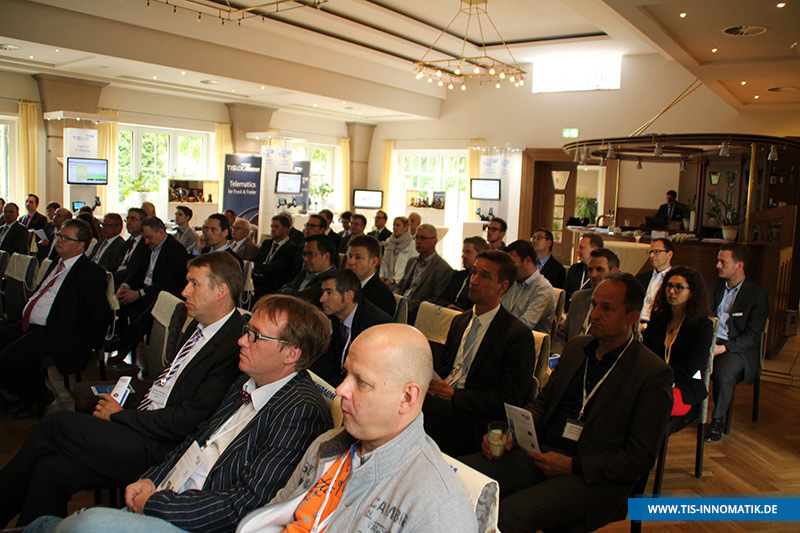 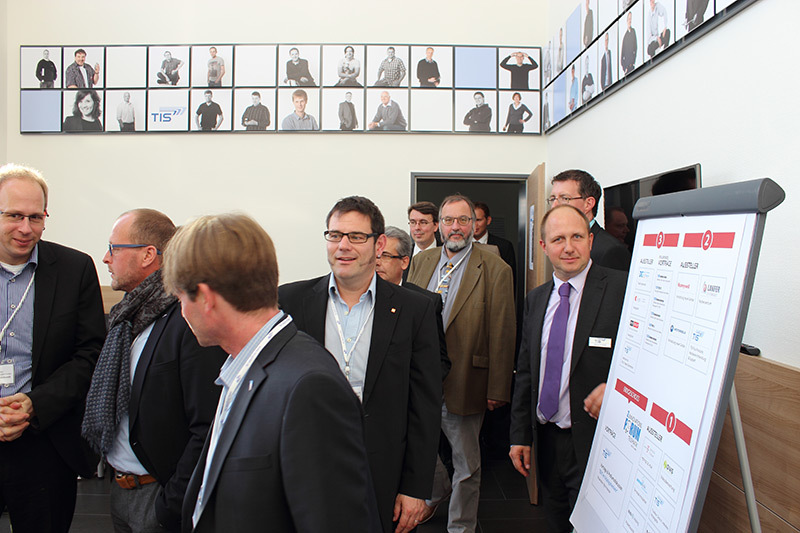 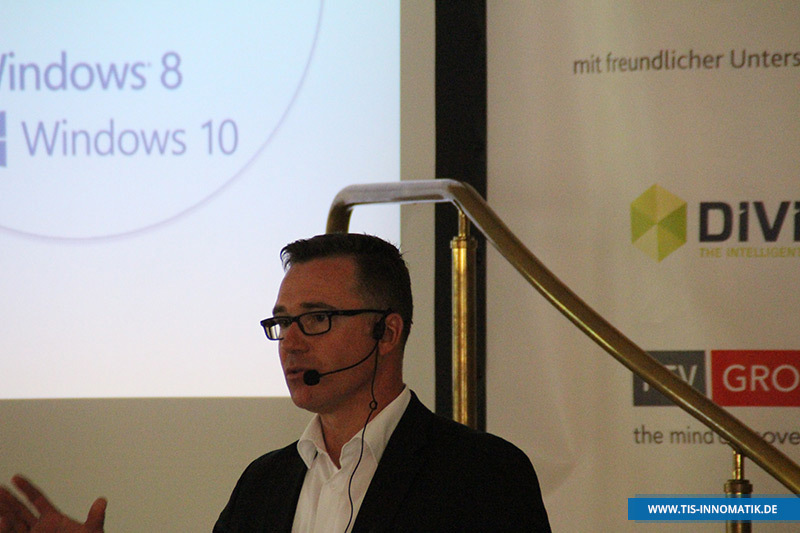 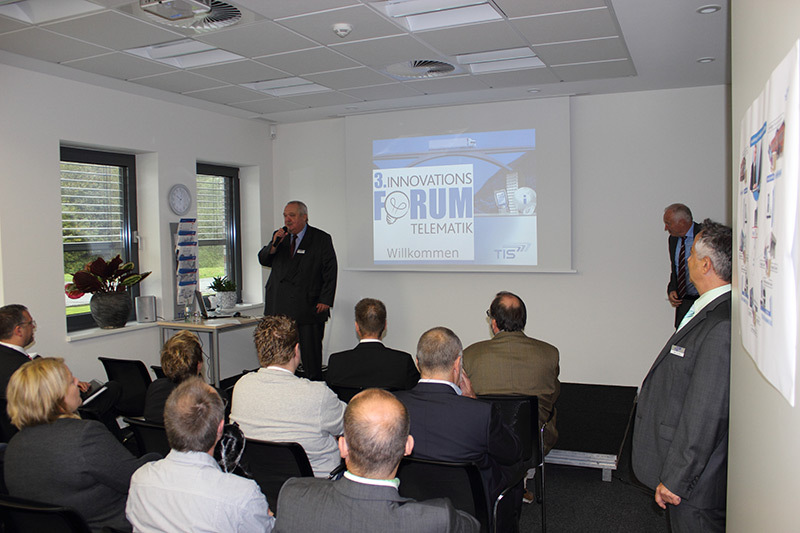 The second Innovation Forum Telematics was a success for visitors and the host TIS GmbH. 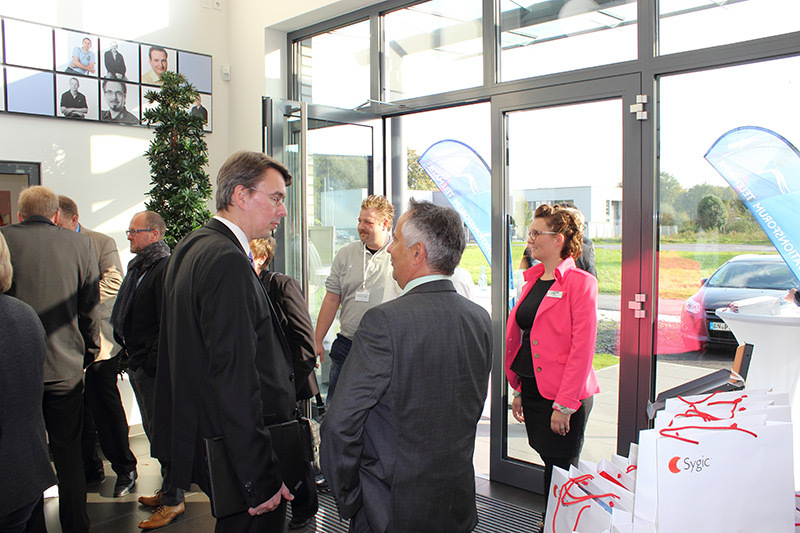 In two exciting trade event days on Thursday afternoon and Friday morning the focus was on projects, products, suppliers and partners of TIS. 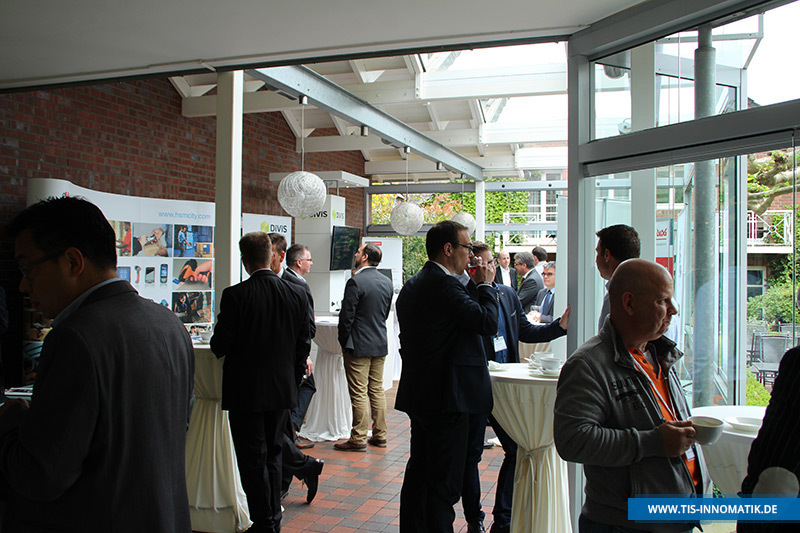 Our visitors like to use the opportunity for extensive networking and a personal meeting with representatives of Motorola, Honeywell, the Telekom and other TIS partners. 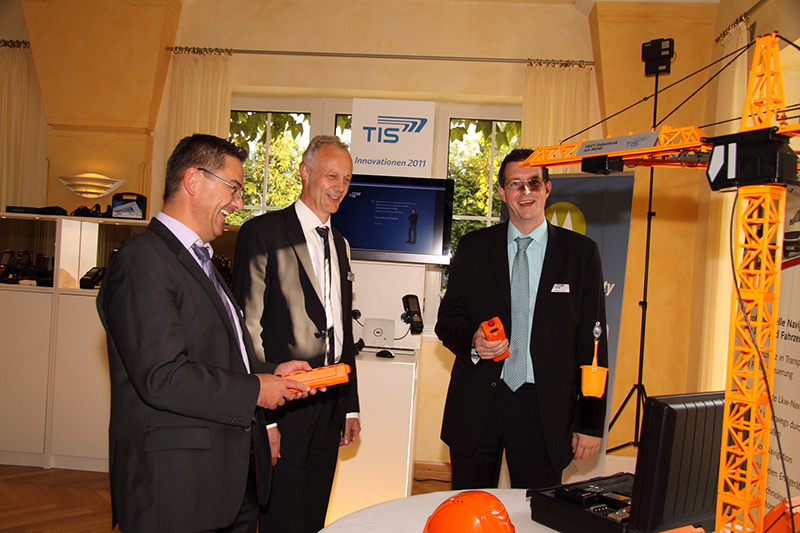 Also on display were the latest developments from our TISPLUS think tank and outlooks on further innovations from our TIS lab. 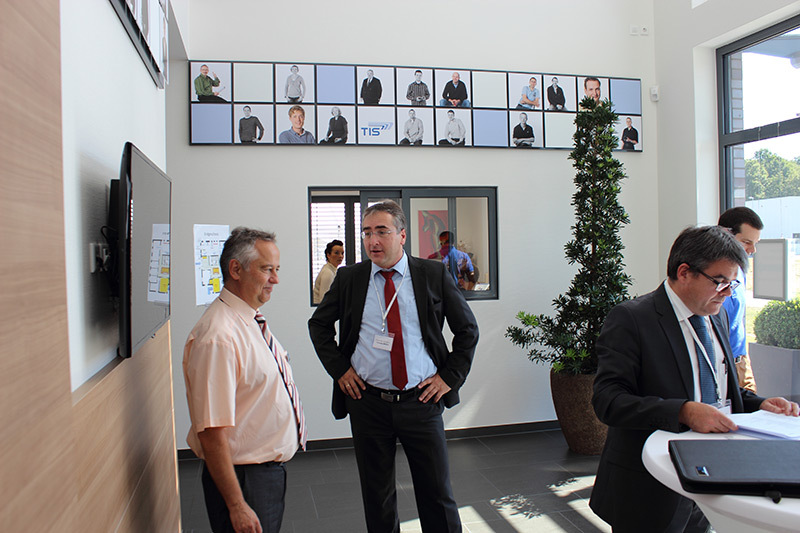 Since June 14th, we have moved into our newly built company building. 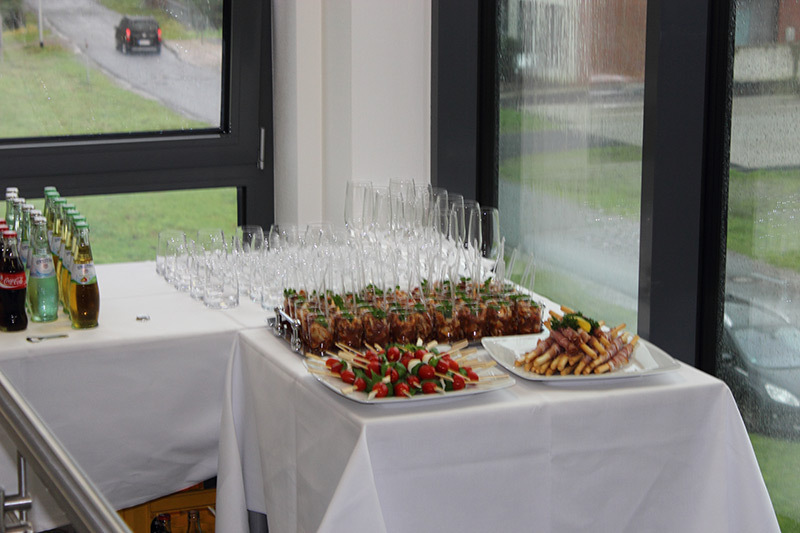 As of Thursday afternoon after an interesting presentation day we celebrated that at our new premises with live music and our guests at. 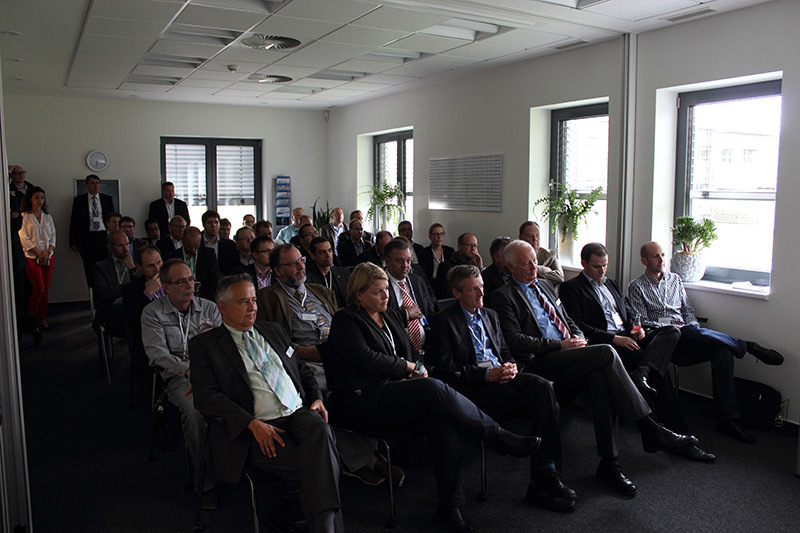 The Friday morning was dominated by individual discussions with the TIS management and the project managers. 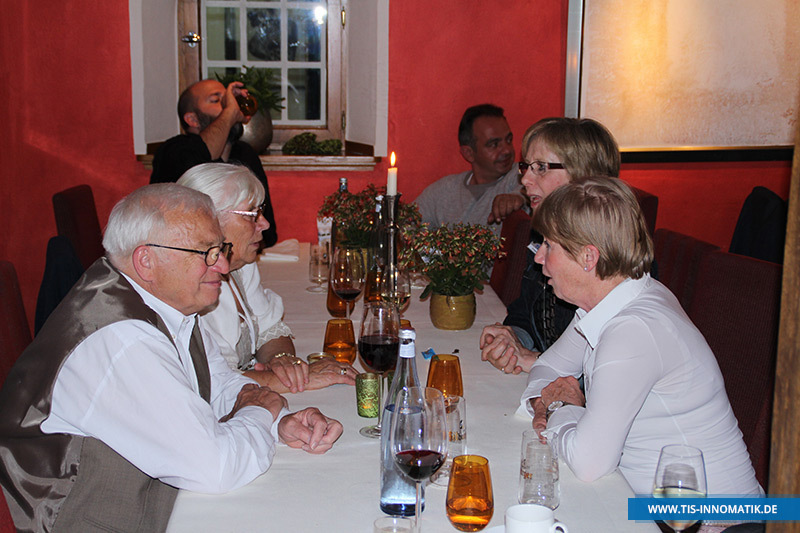 Some guests were delighted with the opportunity of meeting TIS colleagues personally that they previously only knew from the phone. 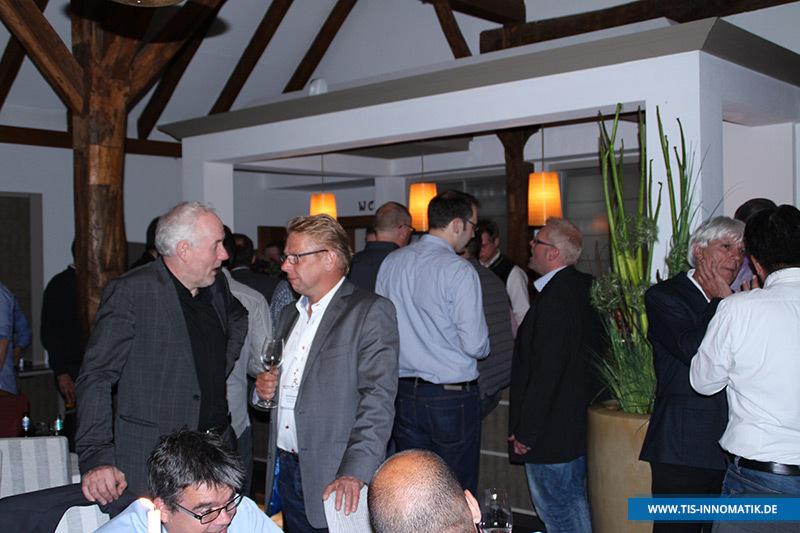 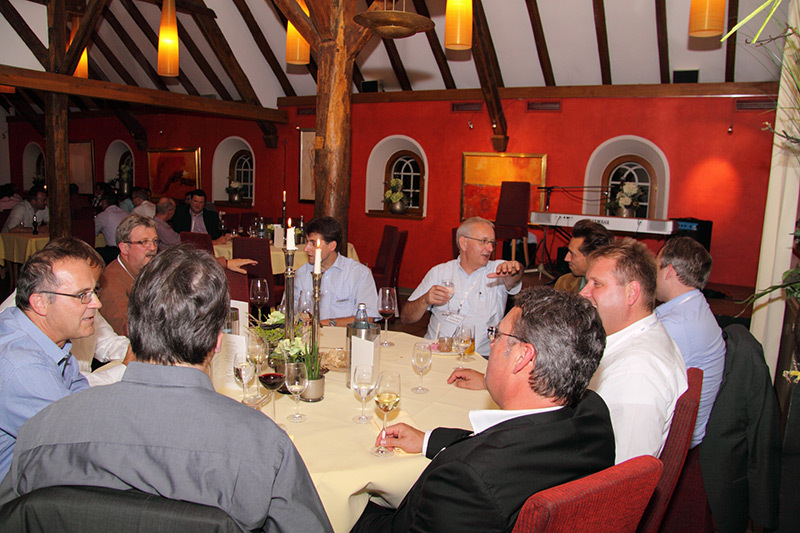 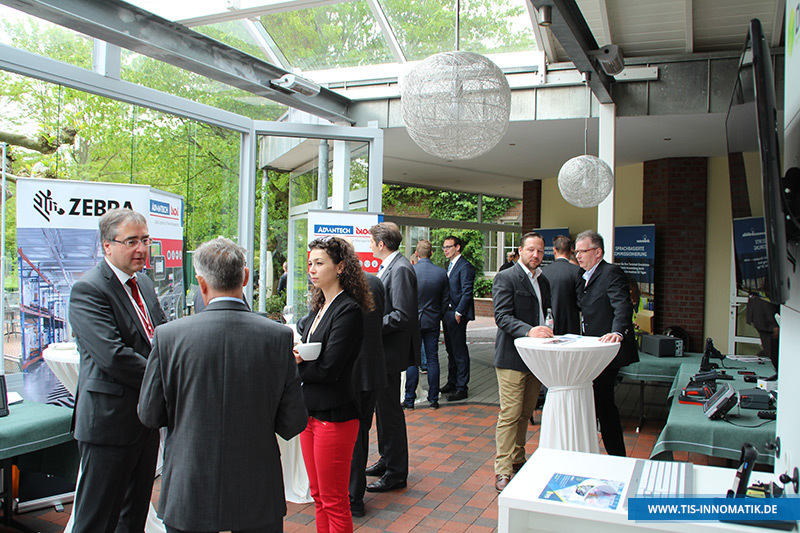 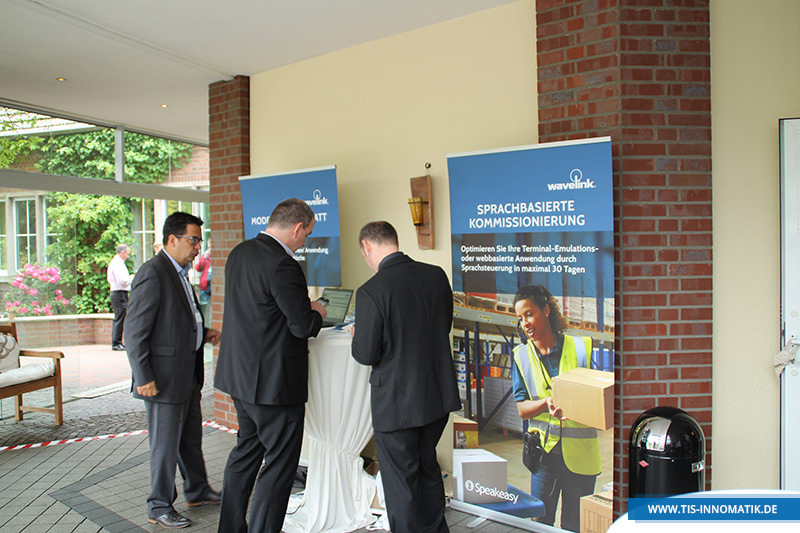 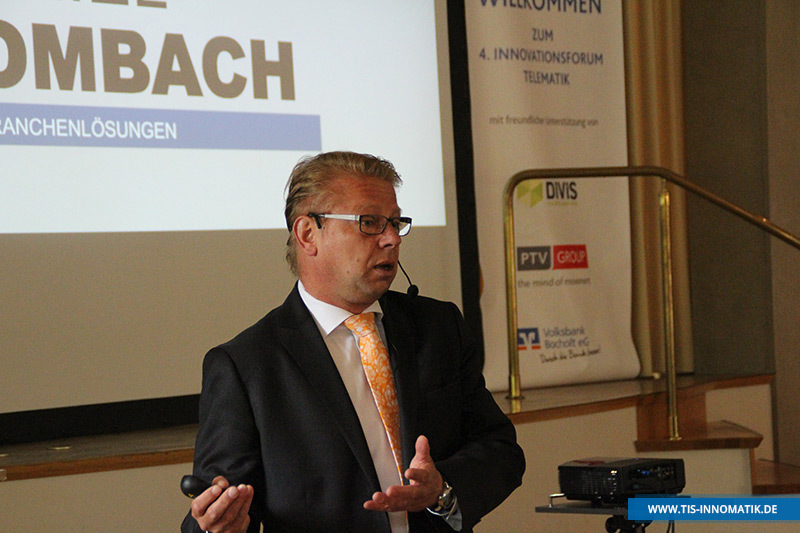 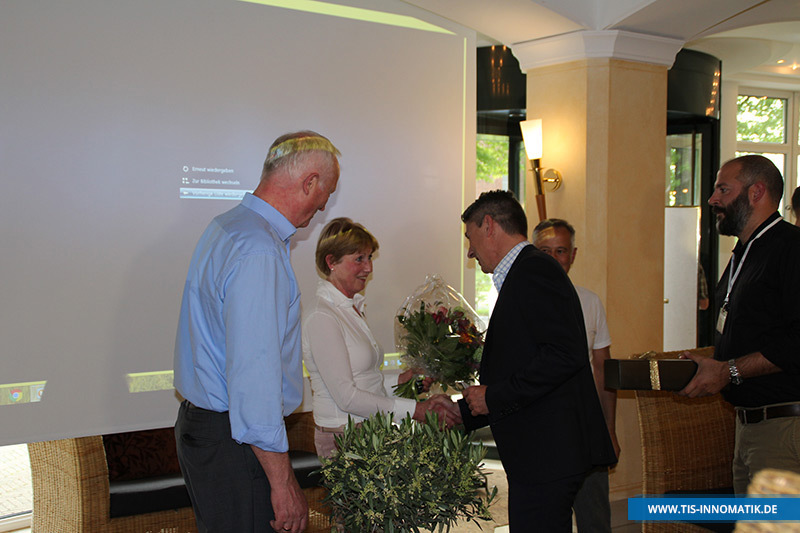 On the first Innovation Forum Telematics the host TIS GmbH met the visitors in the idyllic atmosphere of the Landhotel Voshövel in Schermbeck for exchanging and networking. 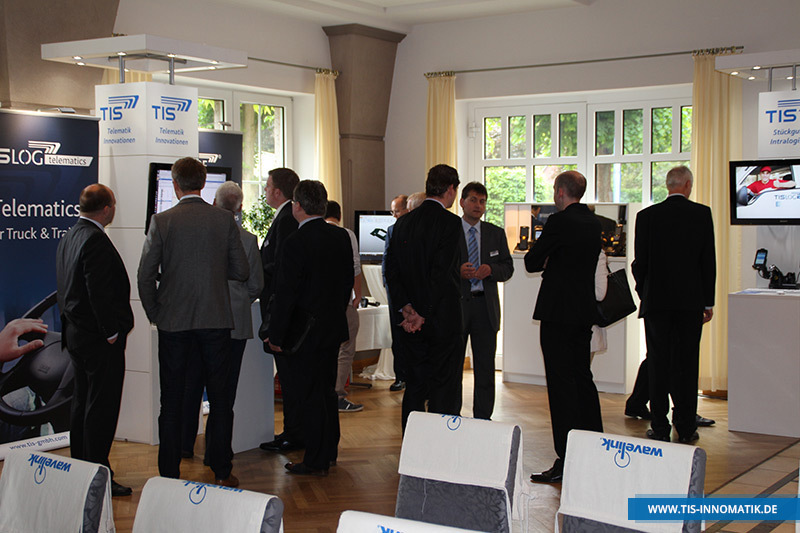 In the accompanying exhibition, the newest technology from the TIS-think tank and hardware of our partners was on display. 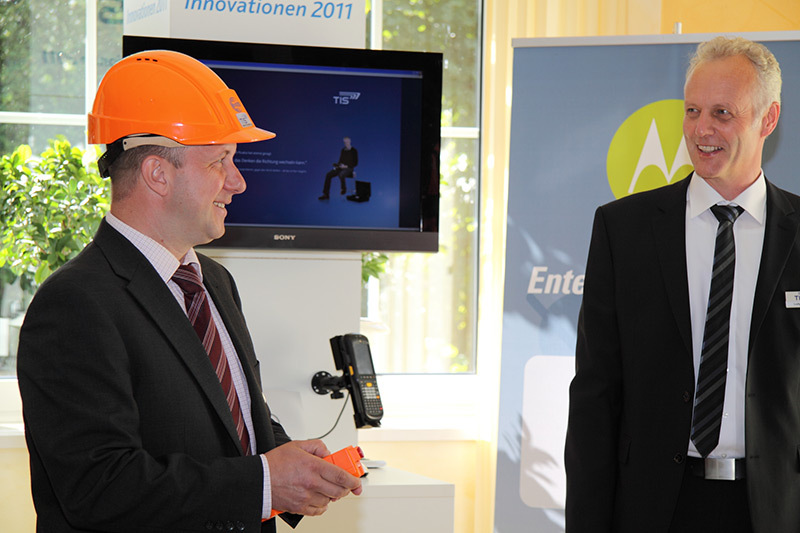 The event was sponsored by Motorola, Psion, PTV and Telekom. 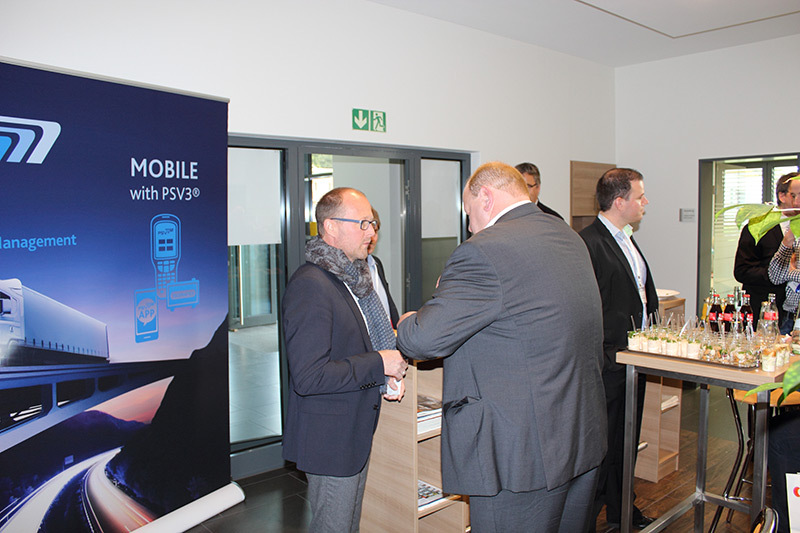 Interesting presentations, for example the security aspects and risks of smartphones in mobile data communications, "cloud" applications and general considerations for the further development of mobile data communications then inspired lively exchange among the participants. 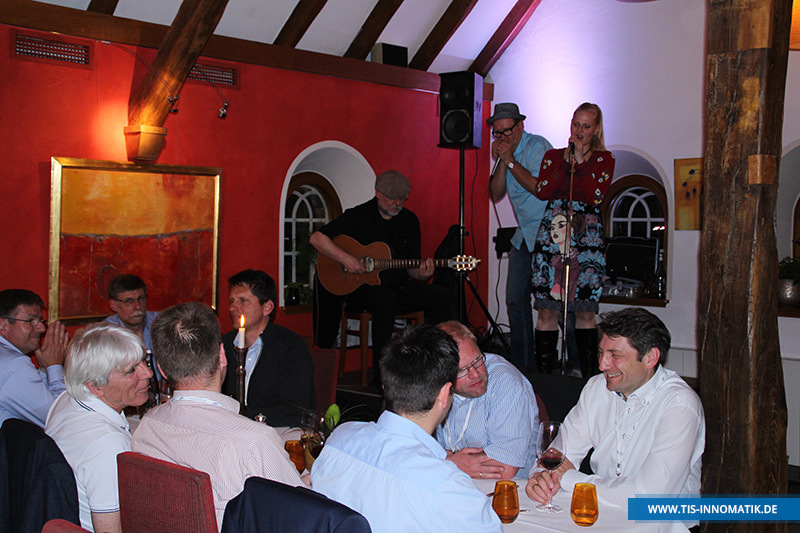 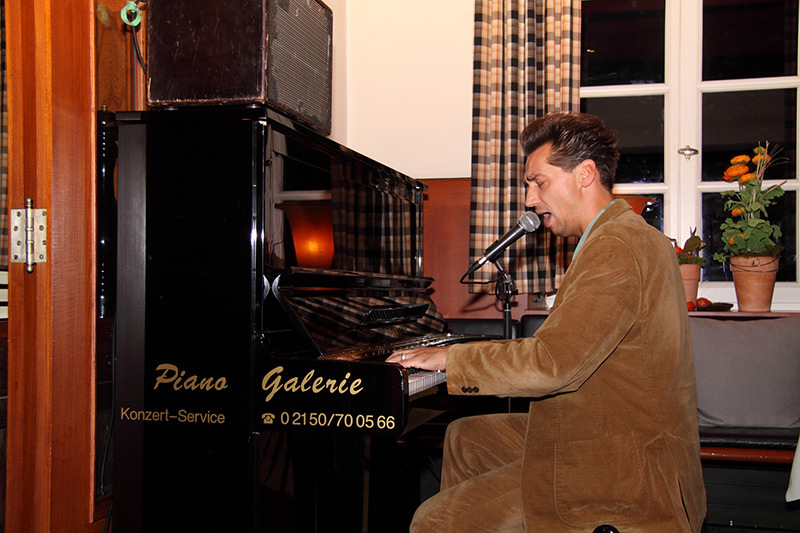 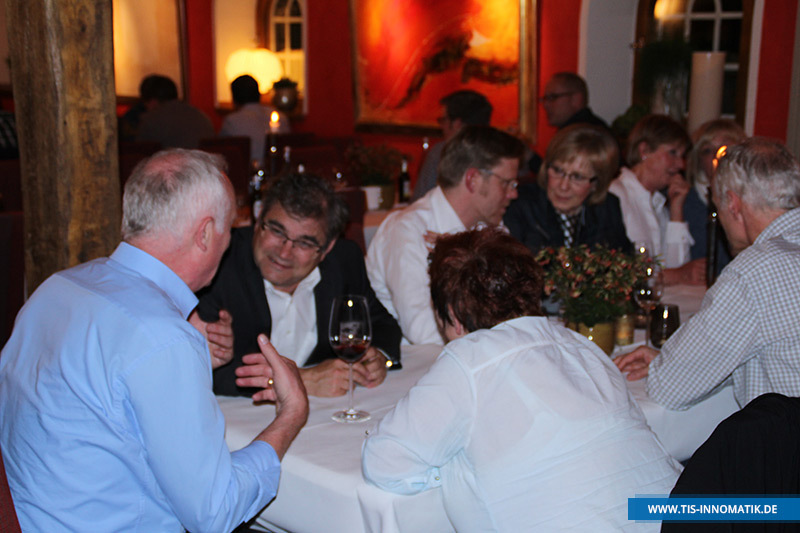 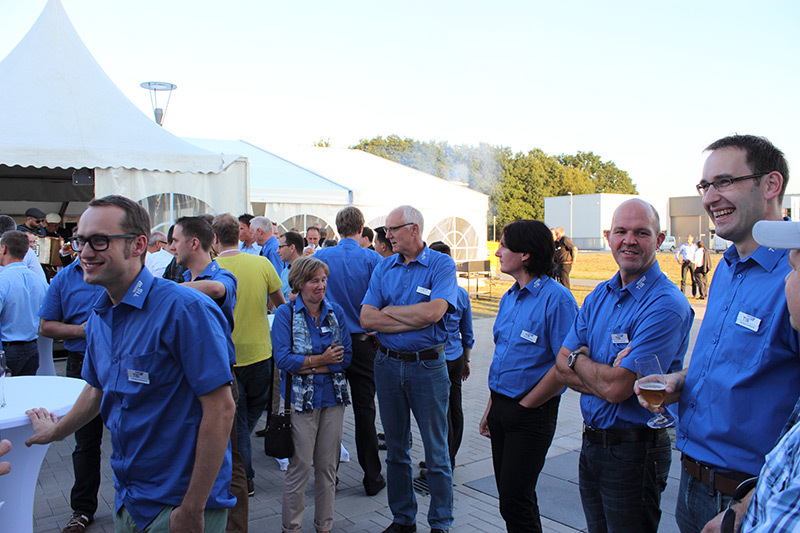 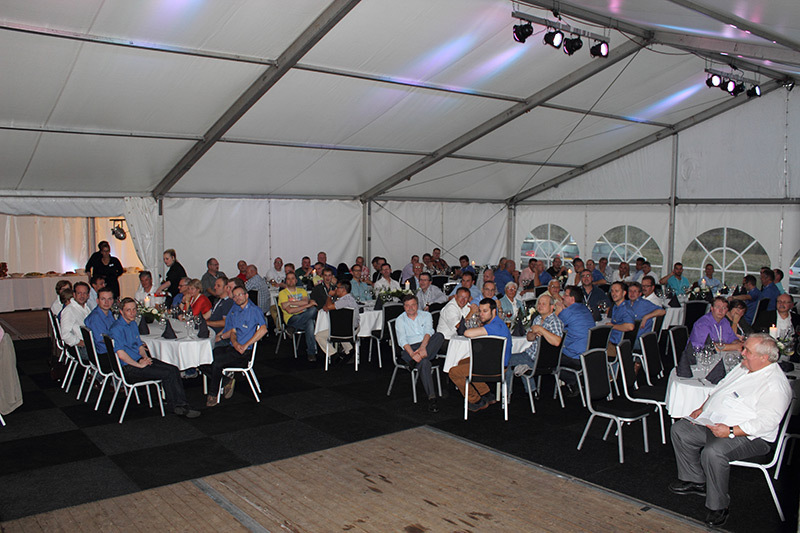 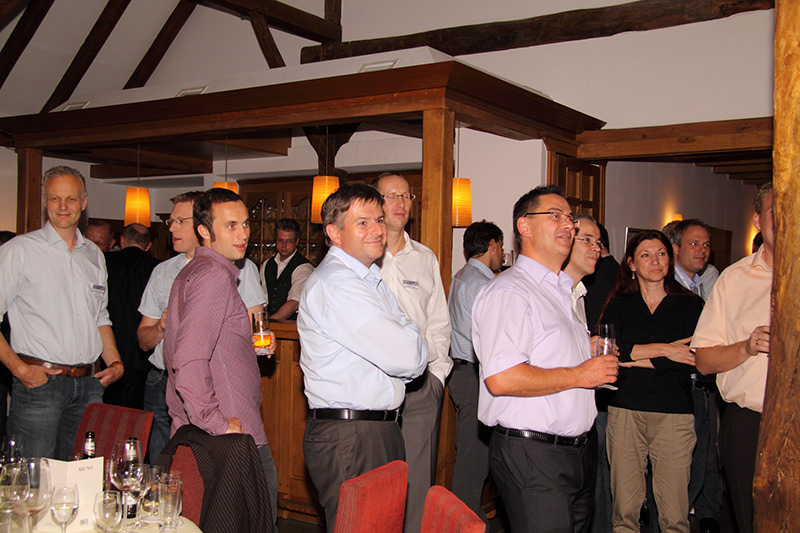 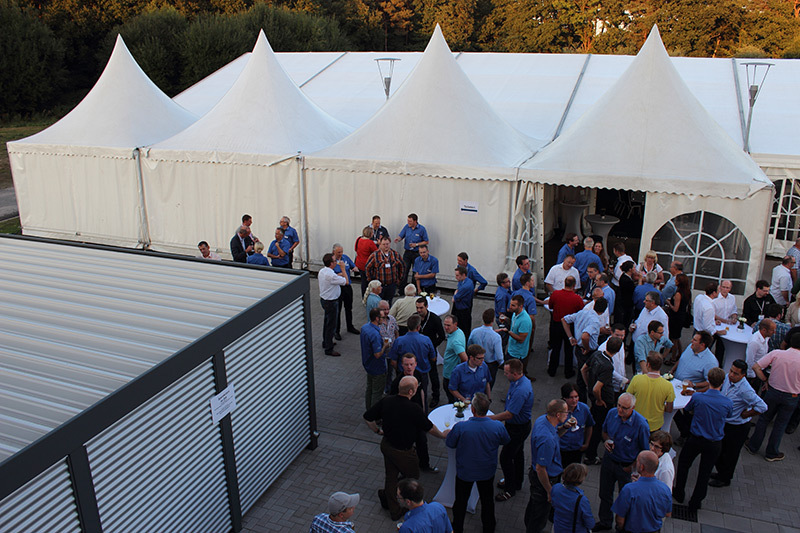 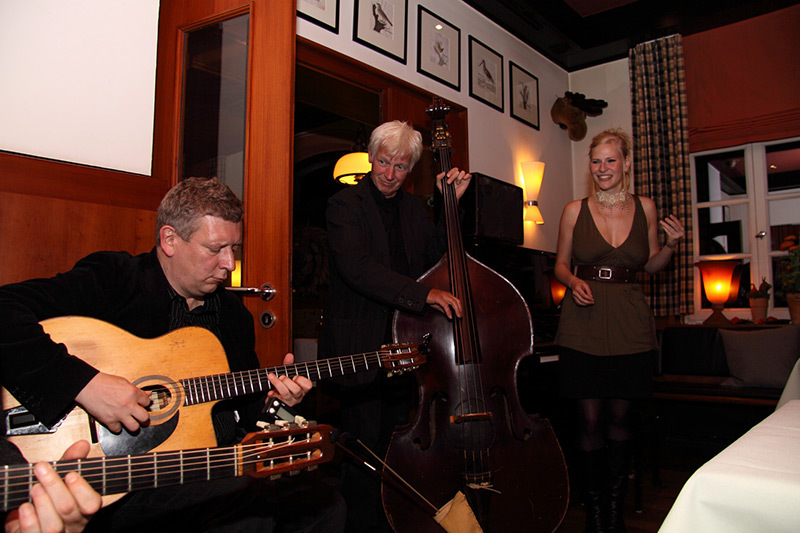 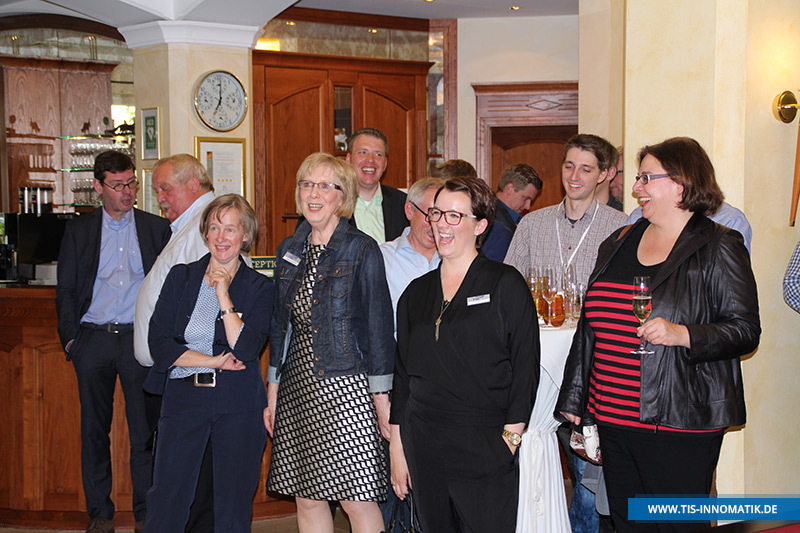 On the evening of September 14th, we celebrated the 25th anniversary of TIS GmbH together with our guests in a relaxed atmosphere in the festively prepared premises of the venue hotel, with good food and pleasant music.